I love a good card game, but inevitably the old deck of cards start getting bent and ruined by all the handling and food and drink – but the Dry Decks Playing Cards I found from the fine folks at Nod Products – are waterproof which makes them pretty resilient and washable. 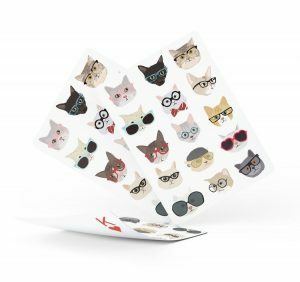 And you get to choose from some pretty cool designs, like the Dry Deck featuring cats wearing glasses (right). Find the Dry Decks Playing Cards from Nod Products here. Lost Cowboy is powered by	WordPress 5.0.4 and delivered to you in 0.816 seconds using 45 queries.